THE BEADY EYE ASKS: ARE WE ALL FOOLING OURSELVES. UNREGULATED PROFIT SEEKING ALGORITHMS WILL BE THE LAST THE LAST STRAW NEEDED IN A WORLD OF INEQUALITY. Posted by bobdillon33@gmail.com in Algorithms. Its time to sit up and take notice. The consequences of Profit seeking AI’s that are trying to emulate human intelligence without a conscious mind to give them any moral value, are going to be tragic for a world that is unable to unite to fight inequality, not to mention Climate Change. As we don’t know our inherent objectives WITH AI we are playing with dynamite. Even if every one of us was gets a perfect AI Assistance we will not be able to share its benefits, because AI will lie to us to please us. We are already witnessing this with Facebook and Twitter on social media promoting false images and gossip that is distorting what is true. If you were expecting some kind of warning when computers finally get smarter than us, then think again. There will be no soothing HAL 9000-type voice informing us that our human services are now surplus to requirements. In reality, our electronic overlords are already taking control, and they are doing it in a far more subtle way than science fiction would have us believe. Their weapon of choice – the algorithm and one has just been granted citizenship of Saudi Arabia. It attracted international headlines — and sparked an outcry against a country with a shoddy human rights record that has been accused of making women second-class citizens. 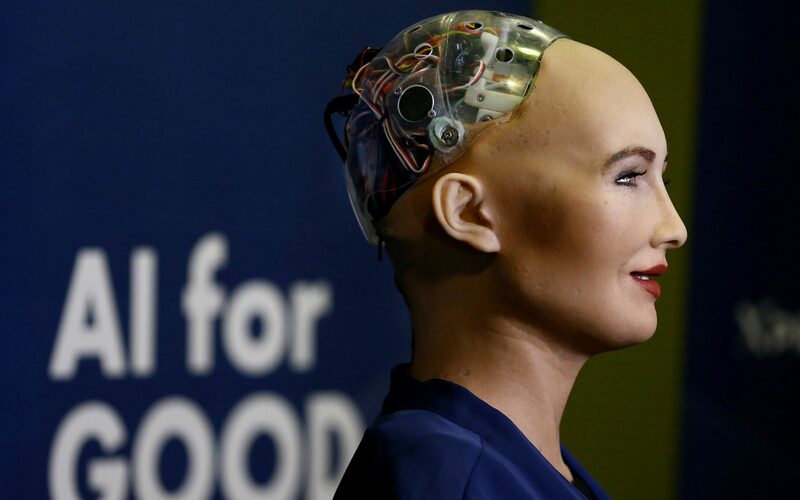 A robot simulation of a woman not wearing a headscarf enjoys freedoms that flesh-and-blood women in Saudi Arabia do not. Where was her male guardian, as required by Saudi law for women. Perhaps Saudi woman should become robots. Saudi Arabia doesn’t grant citizenship to the foreign workers who make up a third of its population, not even families that have been in the country for generations. Children of Saudi women who are married to foreign men cannot receive citizenship. 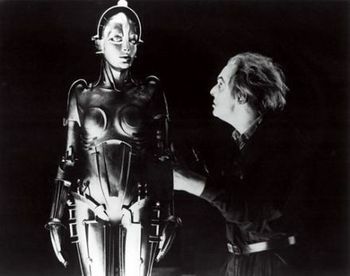 Sophia the Algorithm was manufactured in Hong Kong. One thing’s for sure: As AI grows more advanced its invisible Algorithms arms are already taking control of decision-making. They might well be running gigantic warehouses, matching kidney donors with recipients, running Heathrow traffic control, but this is only the start. The smart machine era will be liberating in ways we can not imagine to-day, but at what cost. There is fine line, between “good” and “bad” algorithms. The point is that we need to start thinking seriously about algorithms. Right now there are people coming up with new algorithms by applying evolutionary techniques to the vast amounts of big data via genetic programming to find optimizations and improvement in different fields. They are not just for mathematicians or academics they are all around us and you don’t need to know how to code to use them or understand them, in fact without them most of the modern world would not work. However we are looking at an area that is total unregulated where all algorithm activities to make profit are outside any of our current laws. 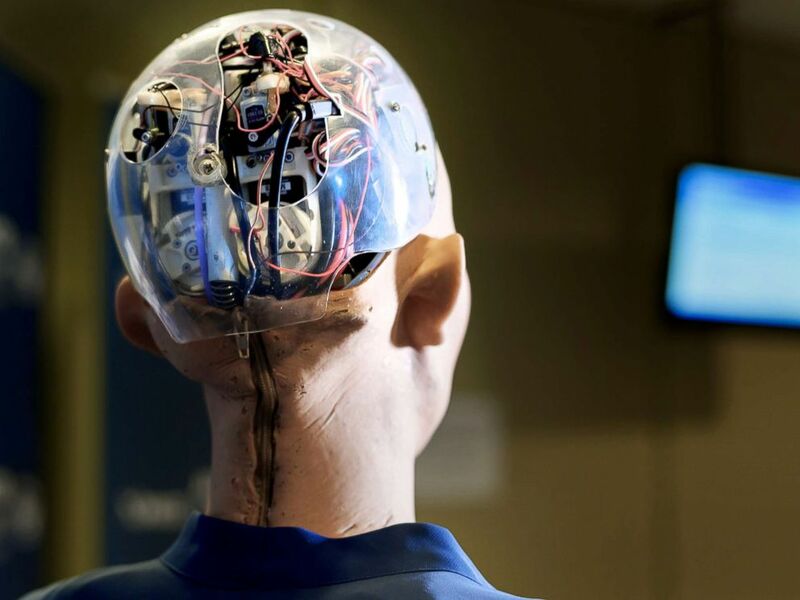 The rise of Big Data and algorithms known as machine learning algorithms are trawling vast collections of data which will allow for vast numbers of decisions to be automated with no recourse. AI for the sake of AI’s. The market will be more than trillions by 2026. Big data by itself it is not trans-formative. Data is inherently dumb. It doesn’t do anything unless you know how to use it and act with it. There are very few of us know how to do so. One way or the other it is going to be a multi-trillion feast for those how do. Algorithms or artificial intelligence will be more efficient, less expensive, and – if well-designed – more accurate than humans. Algorithm is where the real value lies. Algorithms define action. It is these invisible computations that increasingly control how we interact with our electronic world. Algorithms may be cleverer than humans but they don’t necessarily have our sense of perspective – As algorithms spread their influence beyond machines to shape the raw landscape around them, it might be time to work out exactly how much they know and whether we still have time to tame them. Wall Street today, is mostly governed by high frequency trading algorithms and Business is following. Now, researchers are working on the next generation of these learning algorithms, which are heavily used in machine learning and artificial intelligence and may become the foundation that critical technological advances are built on. Basically, even though most people haven’t even heard of deep-learning algorithms, better ones could mean a future that includes smarter homes, and robots that care for parents and walk our dogs. Deep-learning algorithms also will be used with our smart appliances, smart cars and wearable technology — stringing it all together in the much championed Internet of Things. So what? In the digital world anything goes. Streaming App Algorithms are increasingly wielding an outsize influence on our lives, influencing politics and the economy. We have all become so complacent that we don’t care what technology (In the form of Algorithms that are driven by machine learning ) is doing to our lives, irrelevant of the consequence we all becoming dumber and dumber with platforms deciding what we see and what we don’t see. We have become indifferent to the commercial use of our personal data in return for free services. Every day supplying through our smart phones more and more data it wont be long before the online world will be more important than the real world. Before the Algorithm the way we live our lives is often not solely determined by us, but by others. Others decided if we will be hired, will receive loans, are admitted to university or have committed a crime. Traditionally, “the others” have been humans: employers, bank managers, university board members or judges – who we expect to make fair decisions. Algorithms are increasingly part of our everyday lives, from recommending our films to filtering our news and finding our partners, deciding our futures. We need to better understand them and control, our own futures. Algorithms and AI are the future, but we must not allow them to become a shield for injustice. The amount of data we have available to us now means that we can no longer think in discrete terms. This is what big data forces us to do. It forces us to take a step back, an abstract step back to find a way to cope with the tidal wave of data flooding our systems. But is this any longer possible? Here lies the Catch 22 question. Virtual data centers through cloud providers are analyzing our every move for profit. Selling the data to Hedge funds investment firms driven by vision algorithms that analyzing satellite images, and geolocation, websites. If we don’t open or eyes they will govern the cost of everything from food to energy. There have been other periods in human civilization where we have been overwhelmed by data. Like the Phone represented a discrete means to communicate information. A book, on the other hand, is an abstract means of communication in that there is no direct interaction between writer and reader. So why are Algorithms different? Because we will have Algorithms for the sake of algorithms. They are sequence of steps that describes an idea for solving a problem meeting the criteria of correctness and terminability. An abstract recipe for the calculation independent of implementation. Another words: Algorithms are a finite number of calculations or instructions that, when implemented, will yield a result. While Code/ Programming is a set of instructions for a computer. A concrete implementation of the calculation on a specific platform in a specific programming language. Algorithms have been around for much longer than the invention of coding. Algorithms are already started to show their potential to create a new era of abstraction by going a step further. Not only will they search for a patterns but they will also create the code we need to do this. Algorithms enable us to find patterns via clustering, classification, machine learning and any other number of new techniques underpinned, not by code, but by algorithms. 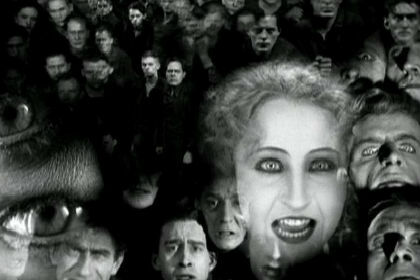 Like: With algorithms tracking Tweets or Facebook the Cloud will be Metropolis of 21st century. To achieve this we need to better understand how these algorithms work and how to tailor them to suit our needs. Otherwise we will be unable to fully unlock the potential of this abstract transition. And if all of the above is not scary enough there will be war AI neural networks to decide whether a person is deemed expendable or not. It is imperative that all Algorithms are Provable beneficial to all of us, not to one objective profit. If we lose our autonomy to AI/ Algorithms machines we end up as the three monkeys – see no evil, hear no evil, speak no evil. We are addicted to Technology. These Algorithms that have profit as their targets will ensure that we remain so. Retail algorithms don’t scare me, I find it annoying when Amazon tells me what I might like. Now is the time to make your voice count.